Are you stuck in a corporate job dreaming about doing what you’re truly passionate about? If so, author Gavin Sequeira knows how you feel. After becoming fed up with life in the rat race, Gavin took the plunge to start his own successful business and now helps people looking to create their own career change. 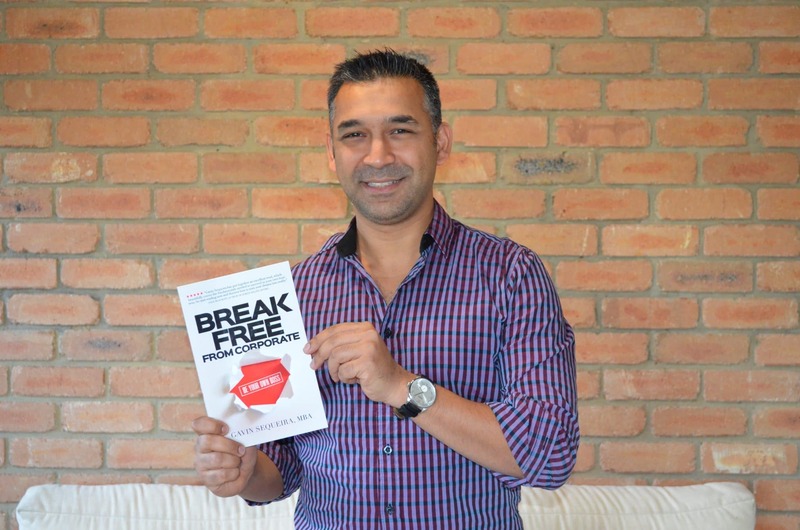 A must-read for those thinking about taking the plunge, or who have recently done so and are looking for advice on how to build their business, Break Free From Corporate is a motivational guide to escaping the rat race and building the life of your dreams. Melbourne-based Gavin Sequeira built a successful career in senior corporate management with some of the largest technology companies in the world. However, after becoming disillusioned with the corporate environment, he broke free to run several successful businesses, coaching hundreds of Australian business owners on key strategies he unlocked from some of the world’s leading entrepreneurs. Gavin is also the host to his own podcast show on iTunes and Stitcher titled ‘Break Free From Corporate”- where he shares stories by interviewing leading entrepreneurs who managed to break away from the corporate world and are now creating the life of their dreams. Question: What inspired you to write Break Free From Corporate? Gavin Sequeira: It all started in the early days when I was doing business coaching. As I talked to many new and aspiring business owners about their journey and struggles to get their businesses off the ground, I reflected on my own personal struggles when I was leaving corporate and what I needed to do to get my mindset right. I recalled all the things I needed to work on both on a personal nature and also in regards to skill sets I needed to develop to make my dreams a reality. 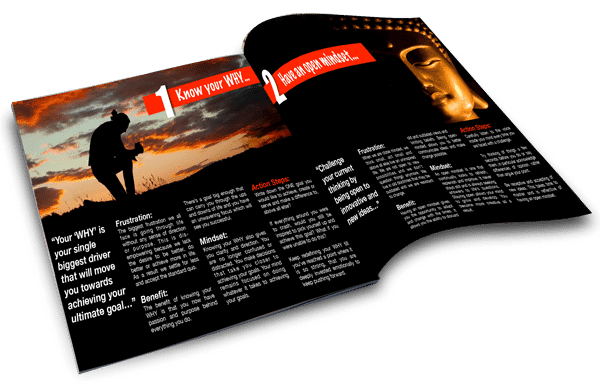 One of my mentors Dale Beaumont suggested I put these life experiences of mine down in a book so that I could share this with more people and thats where the original inspiration came from. Question: What are the main advantages of being your own boss? Gavin Sequeira: The main advantages of being your own boss is having control over your future. Business is only part of this equation. Being your own boss is so much more powerful because it means you are literally the architect of your own future and can design any lifestyle that you desire. As the CEO of your life, YOU get to decide what makes you happy, what makes YOU tick, what goals YOU want to achieve in life and what causes are worth fighting for. YOU get to decide what type of work you want to do and can combine your passion with determination to create your dream business that will help set you free. Question: What originally motivated you to start your own business? 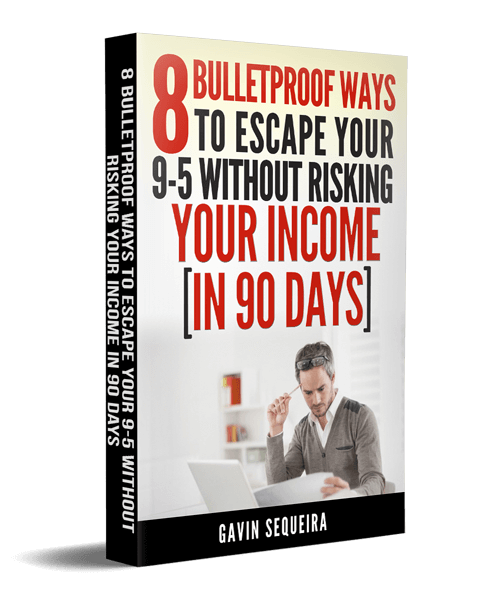 Gavin Sequeira: I got to a point where I was just not inspired doing what I was doing in my corporate career. Suddenly advancing to the next stage and payrise just didn’t have any meaning and I was looking for a way out. I needed to find my own way in life and wanted to create a lifestyle where I could do the things I wanted, when I wanted and not be dictated to by a boss or an alarm clock telling me where I had to be and what time to turn up. This quest to make a change and discover an alternate path is what led me to look into starting a business part-time and with the aid of several personal development and business programs from mentors like Tony Robbins, Jim Rohn, Dr. John Demartini, T. H. Eker and Dale Beaumont, I discovered the passion to start my own business and create my own way in life. Question: What’s the top piece of advice you’d give someone looking at starting their own business? Gavin Sequeira: Get educated! Start working on yourself and develop the skill sets you’re going to need to help you as you start your business. Most businesses fail in their first year and the statistics show that if you’re not prepared to stick it out and with the right foundation, business is hard and the chances of you failing are very high. Starting a business is easy. Maintaining and ensuring you succeed is something else and only those that have the right mindset and systematic approach will make it work in the long run. Definitely get educated and be around like minded people who will support you on your journey. Question: Can you give us a brief description of how to adopt a systematic approach to increase productivity? Gavin Sequeira: Increasing productivity requires a good solid understanding of how your business model works. Once you have set up your business, take the time to measure the effectiveness of your current processes from start to finish, along the entire sales cycle of your business. You can then begin tweaking things to improve performance in certain areas and then you measure this and keep on improving as time goes by. It may be process improvements, better communication, better training of staff, sales techniques and support, leveraging technology better, improving on social media and marketing messages to your ideal audience. Slowly but surely you will see productivity increasing over time and measuring this will show you your progress.